He didn’t just create new industries, he destroyed them. 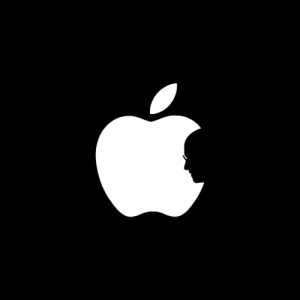 Steve Jobs has had a deep impact on me, forever changing the course of my life. When my family got an Apple ][e, I was hooked. I remember the day I first saw the Macintosh and my jaw dropped to the floor. There have been many other moments in my life that I remember with distinct clarity, realizing what I was looking at was the way of the future. It was almost as if Steve was living five years ahead of everyone else. Being taken away at such a young age is a tragedy and the world will suffer for it. I’ve seen two of his keynotes, one of a demo of Aqua which literally brought me to tears. I’m glad I got a chance to see him in action, but am kicking myself for not talking to him when I had the chance. I was on the show floor of Macworld Tokyo, in Apple’s sprawling booth, and I look to my right to see Steve Jobs and Phil Schiller just standing there. They were taking in the scene of the booth and nobody was paying them much attention, just the two of them. I felt like I didn’t want to invade his privacy so held myself back. The same thing happened when I bumped into Jony Ive, but that’s a different story. Oh, how I wished I could relive that moment. To at least thank him for the wonderful impact he’s had on my life. Steve Jobs will me missed immensely. I wonder if Apple will stay the same without Steve. Can they be as innovative and visionary as they were with Steve Jobs. Will they keep the market share? Time will show.